Environmentalists, car enthusiasts and people obsessed with getting every last drop of gasoline out of their tank have cause to celebrate. The Environmental Protection Agency (EPA) has just named Mazda the car company with the best overall fuel efficiency and highest mile-per-gallon performance for this year. Mazda took the lead over tough competition from Toyota, Honda and Volkswagen but ended up beating them all out with an astounding 27.1 mpg average for their entire fleet of vehicles. Not only that, but Mazda also took home a nod for having the lowest emissions out of all the major car manufacturers, clocking in at 328 grams of CO2 per mile. To provide a little context, Honda clocked in at a pretty close 27 mpg, whereas Chrysler was dead last at 21.9 mpg. What makes this all the more impressive is that Mazda, unlike the other companies, doesn’t have an electric or hybrid vehicle among its ranks, so these numbers are all based on gas-powered cars only! If you’re an auto mechanic, your jaw probably just hit the floor. But indeed it’s true; Mazda owes its efficiency success – among other things like ingenuity and careful design – to its SKYACTIV engine technology. Mazda debuted it’s extremely efficient SKYACTIV technology in 2012 on its Mazda 3, which gets up to an awe-inspiring 41 mpg and may have your automotive technician drooling. It’s also worth noting that Mazda sells no pickup trucks, and the large vehicles that it does offer are few and far between, but they do exist. The most popular of Mazda’s large vehicles being the CX-5 which is a compact SUV and can get a startling 35 mpg. Mazda’s SKYACTIV technology has taken the company to new heights, picking up their sales and getting them loads of praise for their more efficient and environmentally friendly vehicles. 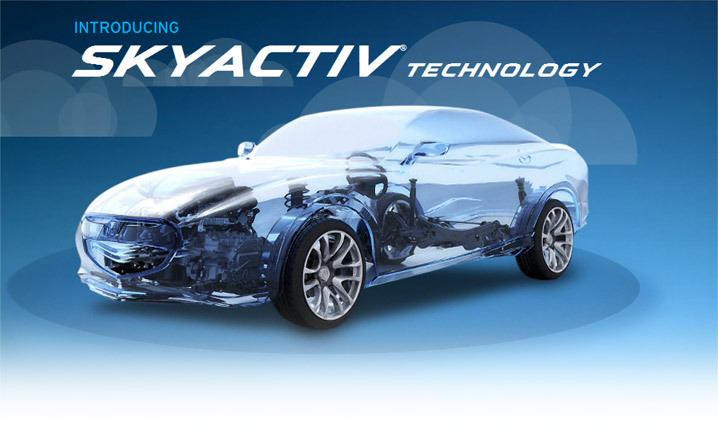 The all-new 2014 Mazda3, the 2014 Mazda6, and the 2014 CX-5 all feature the SKYACTIV engine technology. Mazda has already announced plans to increase the production of vehicles with the SKYACTIV engine technology in response to the overwhelming success in sales, and in fuel efficiency ratings – that has to be good news for those in car sales training! Mazda says they play on selling 1.7 million vehicles worldwide by 2017, which is a pretty lofty goal, but if there’s anyone that can do it, we’re betting it’s Mazda! For more information on Mazda’s process for improving the combustion engine, check out this interesting video!